The club is putting together an order for BioRacer Club Kit, the order window will close on Fri 26th April to be collated and placed on Mon Apr 29th, targeting delivery by end of May. Your completed order form (use the price-list), and payment must reach the club by Fri 26th Apr to be included in the club order. 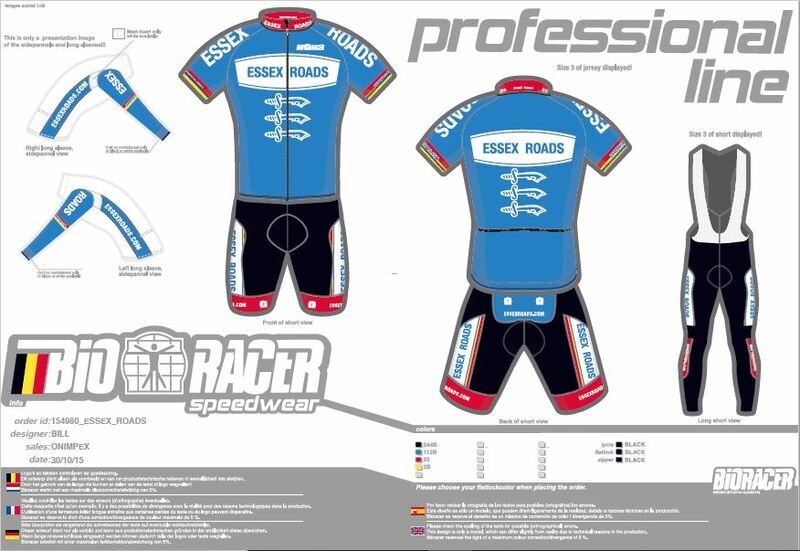 BioRacer Clothing Lines: Members experience has been that the EPIC and Professional lines below will cover most people’s needs, racing members will want the Race Proven line at the bottom. 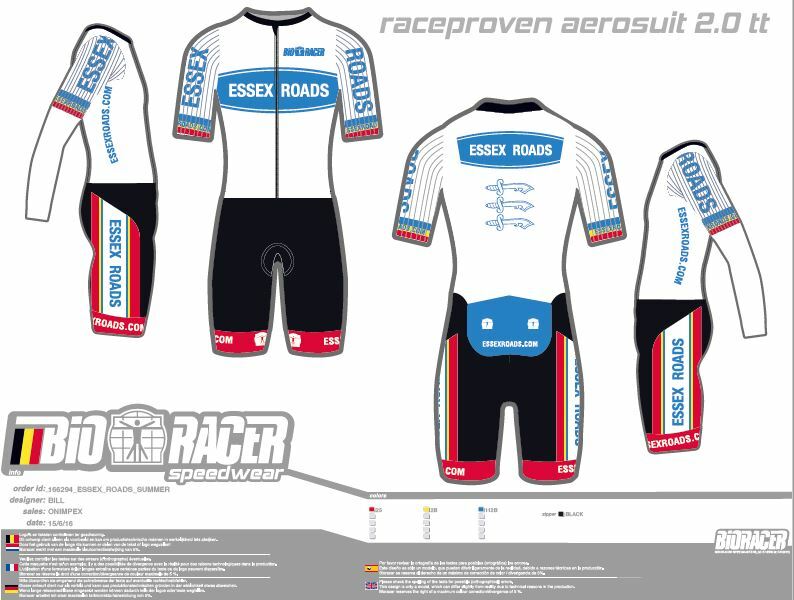 See link here https://www.bioracer.com/en/team-clothing/our-different-clothing-lines and descriptions at end of this note. Ordering via a club order is intended to avoid the small order premium that would otherwise be payable. Clothing ordered will be in the registered club design, available either in white or blue, as is in use by some club members. The price-list includes a 10% club discount but does not include 20% VAT which must be added. Payment should be made via bank transfer to sort code 20-34-69, account no 33611892 with your name as reference. 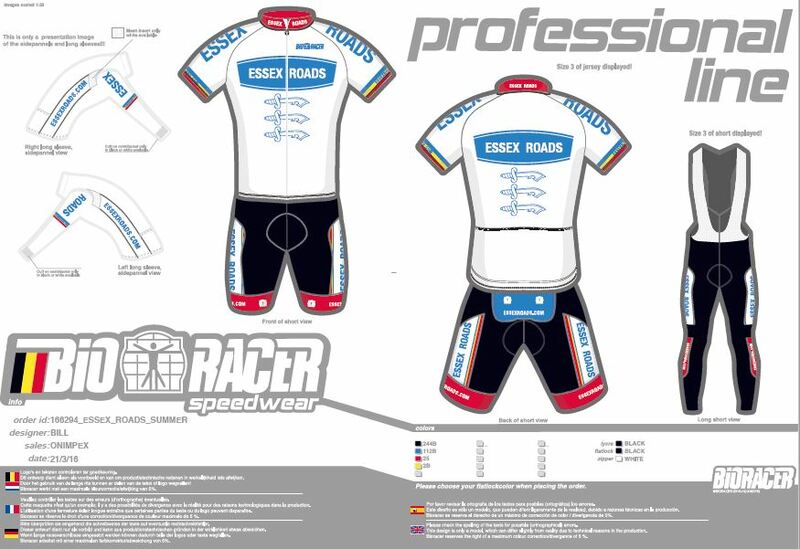 E-mail your orders to kit@essexroads.com by Fri 26th April latest. The club will be purchasing a small number of items now to be used for sizing purposes in subsequent orders (these are obviously not available at this time). Links to size charts/club price lists below. A more relaxed fit doesn’t mean that clothing shouldn’t perform as well as our more advanced, race oriented collections. That’s why we have created Professional. The fit is more relaxed, but it’s been developed with the same criteria in mind. Don’t let the competitive price fool you. This is without a doubt a clothing line that’s among the best and most attractive of the peloton, for competitive riders as well as enthusiasts like you.